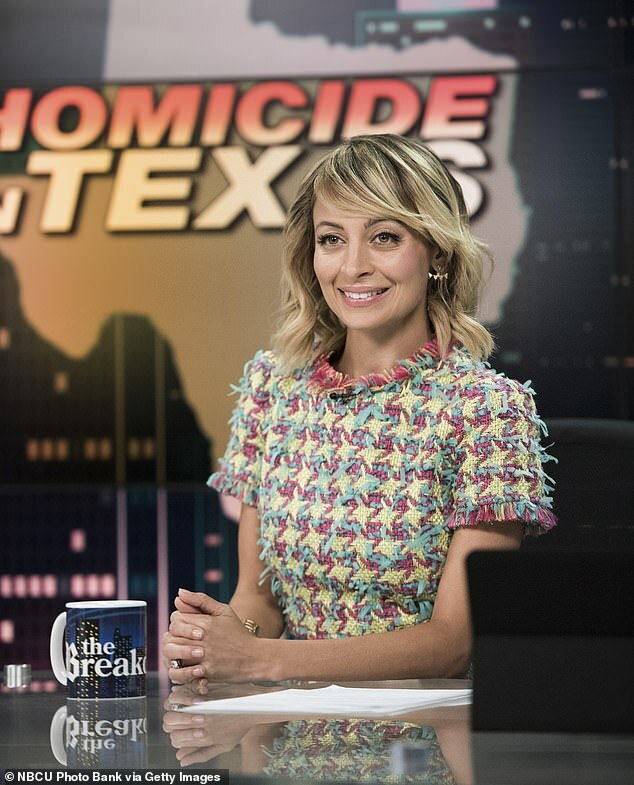 Former wild child turned doting working mum NICOLE RICHIE is channelling her troublemaking past into her latest project. She opens up about her challenging teenage years, her style secrets and what she’s learnt from her famous dad Lionel. 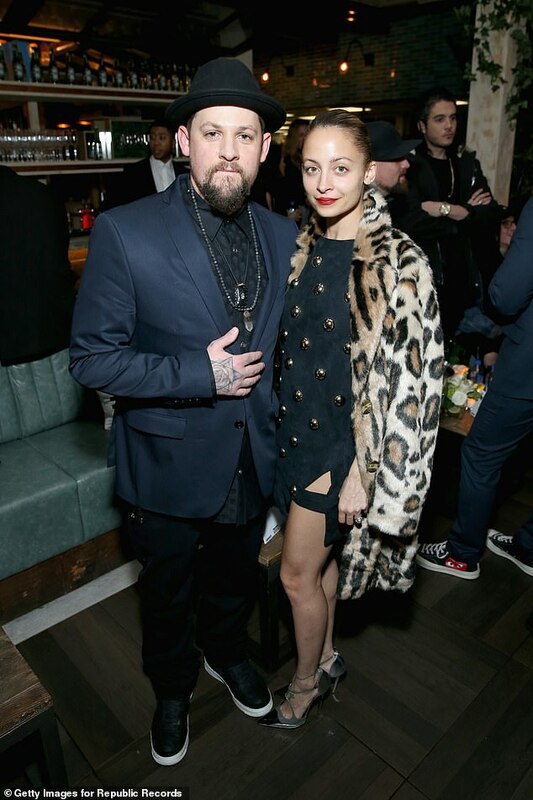 ‘Mornings are wild times in our house,’ says Nicole Richie. ‘It’s survival mode.’ And to be clear, the 36-year-old TV star, actress and creative director of fashion brand House of Harlow 1960 isn’t talking about the kind of wild times she was known for in her younger years. ‘It’s like the Olympics: get the kids up, make breakfast, prepare lunches, drive them to school (I volunteer there, so on those days I will stay to read with the class) then go to work’ – which might be at home, on set or at a business meeting, depending on her schedule. 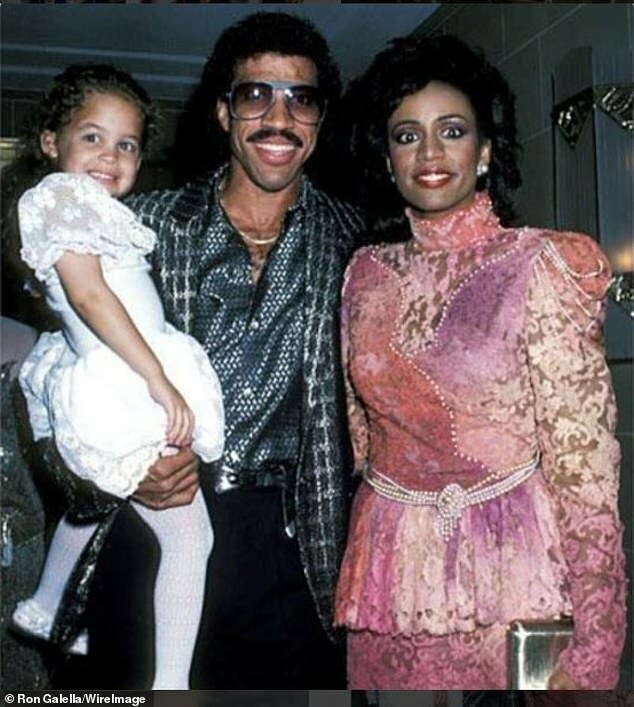 It’s the kind of hectic routine every parent can relate to and there are no complaints from Nicole, the daughter of soul legend Lionel Richie (‘Hello’, ‘Three Times a Lady’, ‘All Night Long’) and his first wife (and college sweetheart) Brenda. We’re meeting in an LA hotel suite full of white flowers to talk about her latest venture as a celebrity spokesperson for the edgy make-up brand Urban Decay. First, though, we find ourselves discussing the challenges of balancing motherhood with a demanding career. ‘I don’t have a trick for making it all work,’ she says, ordering peppermint tea. ‘My kids come first, and then you do what you can fit into the day.’ Poised and sophisticated, there is no trace of the It-girl who once battled drug addiction and rocketed to global fame in the hit reality TV series The Simple Life with her then best friend, heiress Paris Hilton. The hilarious show – a guilty pleasure that ran from 2003 to 2007 – followed the pampered pair as they left their luxurious homes to work at a variety of low-pay manual jobs (including farm work and cleaning), from which they were inevitably fired. Fans will recall that Nicole was the witty, talented one. She went on to appear in the film Kids in America and TV shows including Six Feet Under, before starring in her own semi-scripted 2014 reality show Candidly Nicole. After 11 years together (Nicole and Joel married in 2010), the Richie/Madden household sounds like a glamorous version of The Simple Life. Nicole is quite the domestic goddess these days. ‘I started cooking when my kids were born.’ She is in charge of family dinners, ‘whenever I get home from work in time; my son loves salmon patties’. And her husband’s culinary skills? Nicole hasn’t entirely left her wild-child image behind. Astutely capitalising on that persona, she has teamed up with Urban Decay as the face of its new mascara, playfully named Troublemaker. It’s a philosophy Nicole strongly relates to. ‘That’s the principle behind House of Harlow,’ she says, explaining that, in her teens, she was galvanised into developing her own style because high-street trends didn’t always suit her diminutive size. Troublemaker isn’t just for teens and millennials, she says. ‘Mums wear mascara and that alone makes me perfect for this collaboration.’ Nicole has been a fan of Urban Decay since she was 14, when she and friends would shop at the local mall. Today, wearing notably subtle make-up, Nicole comes across as a self-possessed and inspiring role model, which is impressive given her tumultuous upbringing. Her biological father was a drummer, one of Lionel Richie’s backing musicians, and her biological mother was a backstage assistant. 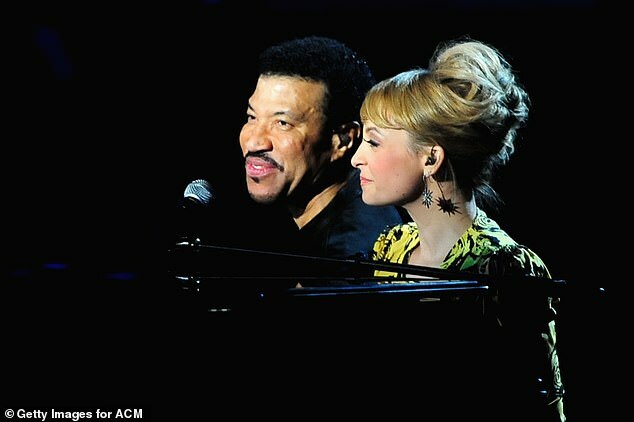 Lionel and Brenda fostered Nicole aged four (because her parents were unable to look after her) and later adopted her. 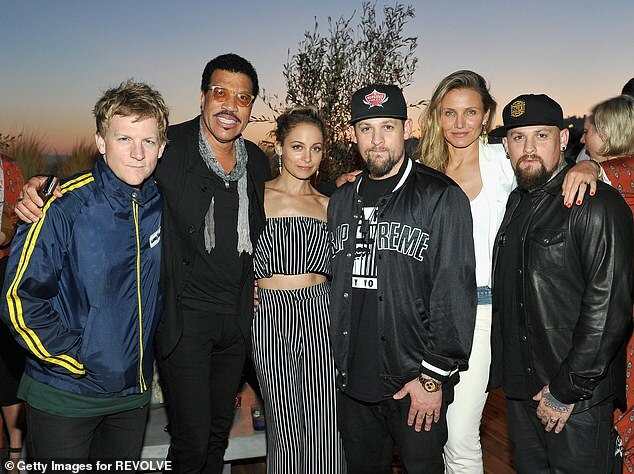 The Richies split up when Nicole was eight and she has two siblings Miles, 23, a musician, and Sofia, 19, a model, from her father’s relationship with his second wife Diane Alexander (whom he divorced in 2004). She grew up surrounded by famous names, with Michael Jackson as her godfather (‘he was so much fun, a very, very nice person’) and birthday parties held at his Neverland ranch. Lionel was friendly with both Nelson Mandela and Prince, and among the regular dinner party guests at the Richie mansion were Diana Ross and music producer Quincy Jones. ‘I wish I had been old enough to appreciate those late-night talks my dad had with Quincy about being black men in LA,’ she says. Describing her early childhood as ‘very happy’, Nicole was musical and learned to play the cello, violin and piano. She was also a competitive figure skater. Her parents ‘definitely weren’t strict: I don’t think I had a bedtime’. Her father was frequently absent on tour, but they would often join him. ‘That’s been the rhythm of his life. And his life is the same now, he has just finished a tour,’ she says, joking that her dad (who’s also a judge on the revived American Idol) never seems to take a break. The same seems to be true for Nicole. As well as her TV work and her role as creative director of House of Harlow 1960, she has written two novels fictionalising her glamorous life, The Truth About Diamonds and Priceless. Nicole credits both parents for having always supported her – she was arrested on several occasions, spent eight-and-a-half hours in prison after being picked up for drink-driving, and had two stints in rehab. As for her dad in his younger days: ‘I would imagine he just liked to keep his afro intact, sing a love song and hook up with girls. I don’t think he got into any real trouble. So they were not my go-tos for advice. ‘I shut them out very early, in my teens.’ It must have been incredibly challenging, dealing with drug addiction with a father who is one of the biggest names in pop music. I tell Nicole that Cameron once told me in an interview how much she, too, appreciates the close-knit clan she’s joined. Nicole smiles. ‘I think every one of us who has married into the Madden family feels like that. So, when he gets back home we give him some tea and calm his sweet nerves. He never took me to drive-throughs when I was little,’ she says as an afterthought. But her father is an inspiring role model and has given her valuable keys to leading a good life. ‘My dad is extremely kind, that’s who he is. He is so friendly and he leaves a lasting impression on people. Walking through the airport, I cannot tell you how many times [airport] staff have said to me, “Your dad was here and he’s so nice,” and you can see by the look on their faces that he made them feel good.